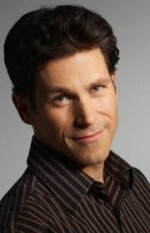 Rick Miller is an actor, voice actor, comedian and playwright. Rick has performed in five languages on five continents and Entertainment Weekly has called him “one of the 100 most creative people alive today”. Rick and I met at a pastry shop around the corner from his home in Toronto. We talk about his path from studying architecture to writing, directing and performing in theatrical productions around the world. Recently Rick appeared in the critically acclaimed “Venus in Fur,” at The Canadian Stage and the Centaur Theatre, but it was the first time in ages that he had to audition for part, and he talks about overcoming his struggle to become the play’s bloodthirsty tyrant. “Boom” is Rick’s latest production and we discuss the Stratford Festival’s role in launching the project and what Rick did when they decided to abandon it. Here’s an exclusive offer to receive 25% off “Boom” at the Grand Theatre in London, On. Check out episodes that also mention acting, Comedy, Montreal, Playwrights, Stratford.